What’s the difference between moissanite and diamonds? 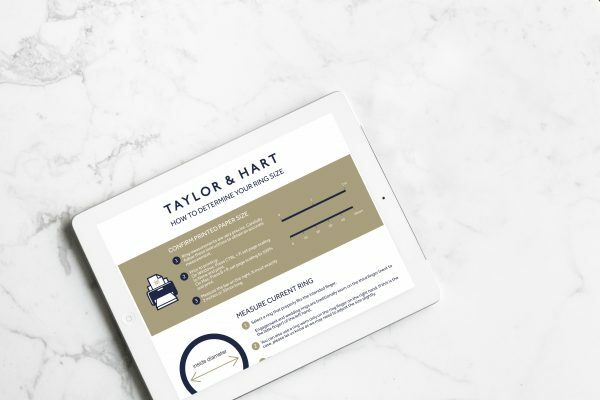 It is our promise that your ring will be made to the highest standards, using the finest materials to ensure your ring will stand the test of time. We often receive requests to use moissanite in designs. We choose not to work with moissanite, instead opting to work with natural diamonds, sapphires, rubies, emeralds and tourmalines. The reason we work with these materials is because they are all natural, exceptionally beautiful and durable. As an engagement ring is typically worn on a daily basis, over time, these materials maintain their beauty. Originally discovered in the late nineteenth century in a meteor crater, moissanite is a rare mineral, not in high yield. 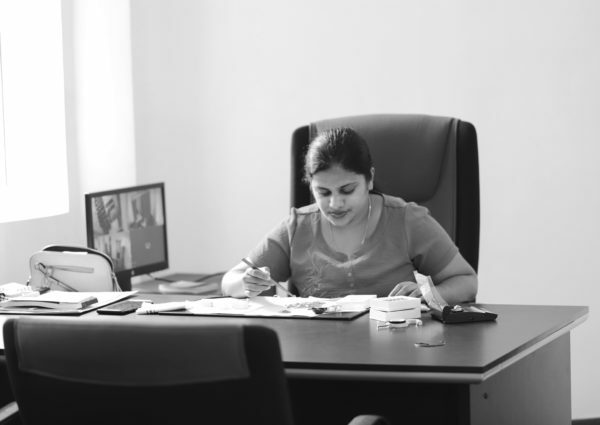 Therefore, moissanite, as we know it today, is almost exclusively grown in a lab. 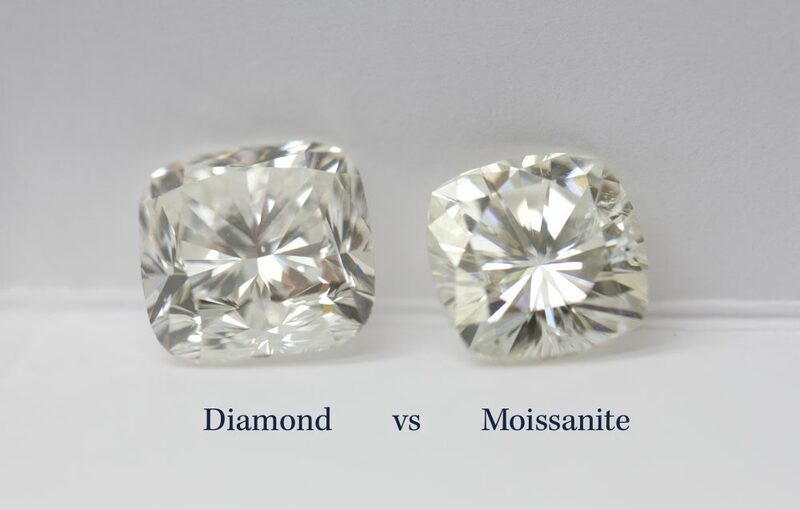 How does a moissanite differ to a diamond? These two materials differ slightly in appearance and in a range of properties such as hardness, colour and brilliance. 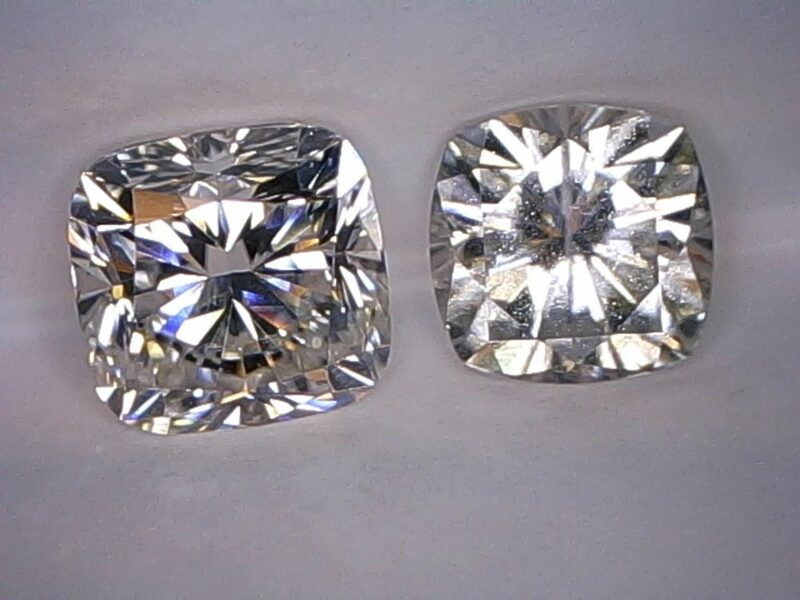 The gallery below shows diamonds on the left, and moissanites on the right. Material hardness determines how difficult it is to scratch. On the Mohs scale of hardness, moissanite is rated as 9.25, which is higher than any gemstone used in jewellery other than diamonds. Diamonds, which are the hardest known material, score a 10. Both moissanite and diamond make superbly resilient stone choices, especially for a ring worn almost every day. 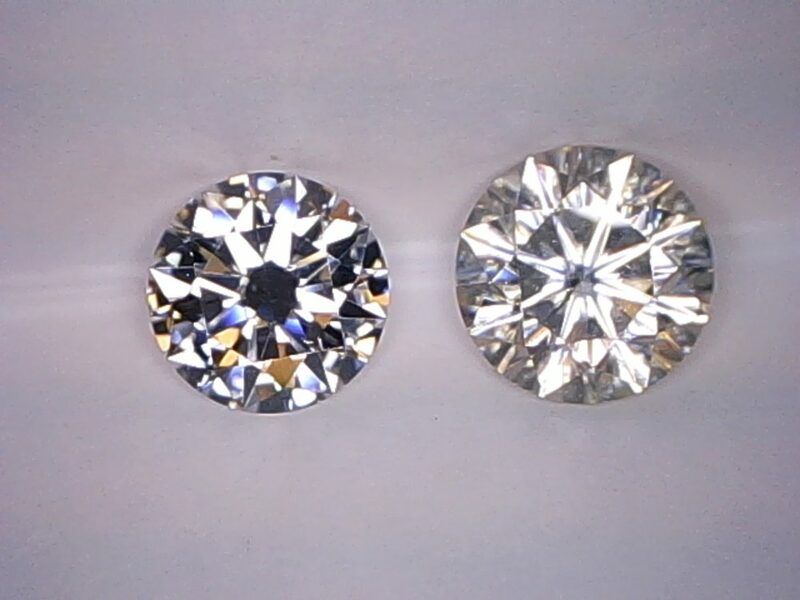 Diamonds are graded on colour while moissanite stones aren’t. A typical moissanite is not colourless and many feel that its colour is similar to a GIA-certified K-colour diamond, which would place it in the faint colour scale, as opposed to colourless or near colourless. As with diamonds, the smaller the moissanite, the more colourless it will appear. Advances in moissanite creation has resulted in colours comparable to a GIA-certified H-colour diamond and even more recently, an E-colour diamond. However, these are limited in supply, as well as, shapes and sizes. 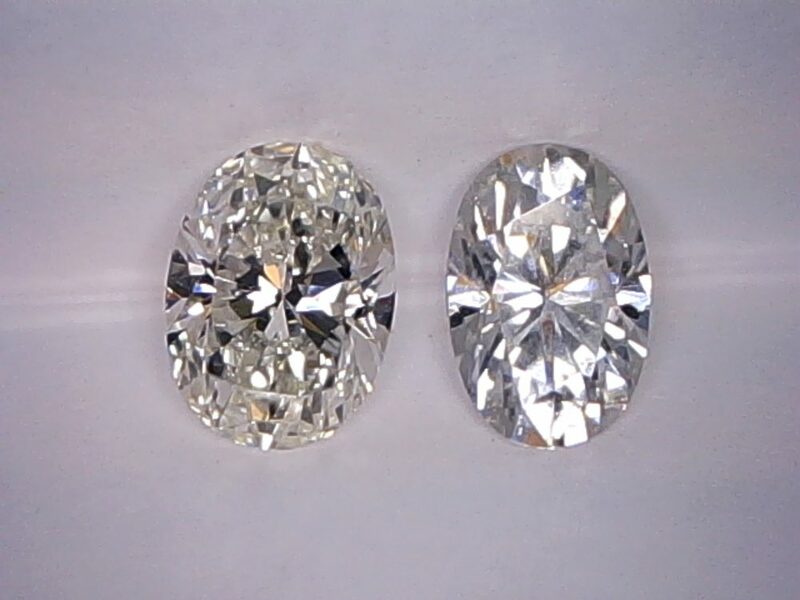 Under certain lights, moissanites may exhibit a yellow, green or grey tint, visible more so in larger stones and especially next to a diamond, as shown on the moissanite below on the right side of the image. Brilliance refers to the ability to reflect white light and determines how much a diamond ‘sparkles’. Moissanite disperses light very well and tends to be more brilliant than a diamond, however, a diamond exhibits more ‘life’ in its light dispersion as displayed below. Even when the image is out of focus, you can see the level of light dispersion more clearly from the diamond on the left. 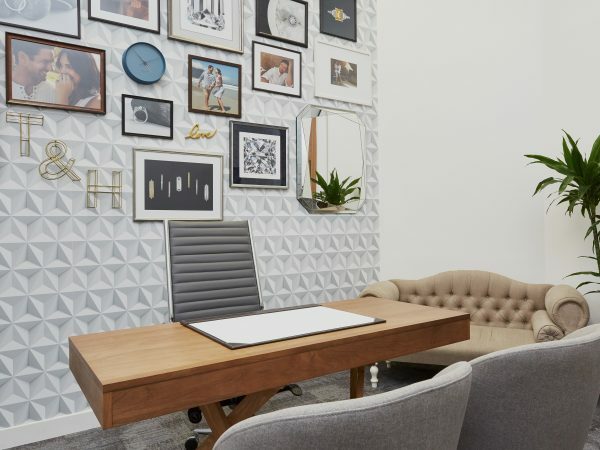 Why do people choose moissanite? Many choose a moissanite simply because it does a good job at simulating the aesthetic of a diamond, without the premium price tag. Also, as moissanites are made in a laboratory, there aren’t ethical concerns around their manufacture and use. 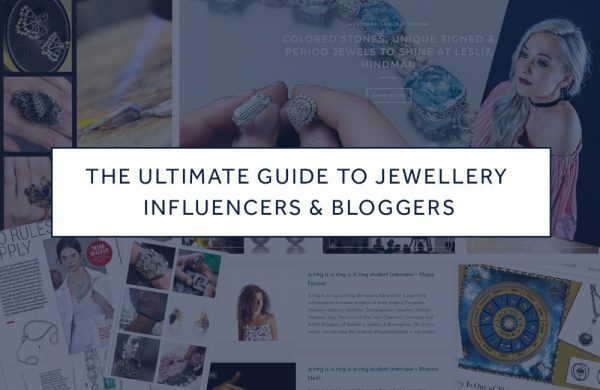 Why do people prefer diamonds to moissanites? Moissanites are man-made, whereas a diamond is naturally formed over millions of years, deep within the planet’s mantle. A diamond’s rarity is unsurpassed. Like every couple’s love story, every diamond’s journey is unique as it forms through the Earth’s crust to ultimately become an enduring symbol of love. 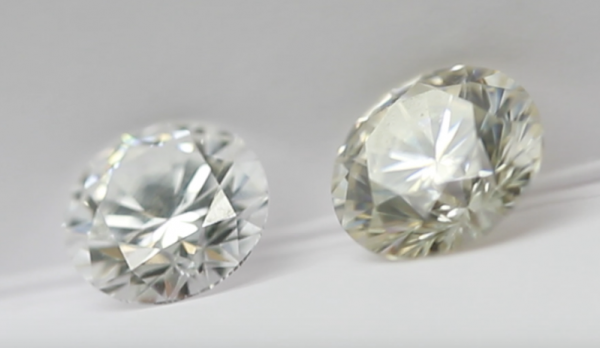 In summary, moissanites certainly do a good job of simulating the visual properties of a diamond. However, when examined up close, like many engagement rings are, a diamond exhibits almost magical properties that are unable to be replicated.